The temperature is warming up and many of us are becoming more active. We're primarily focused on what we want to accomplish, not on injuries and pain. 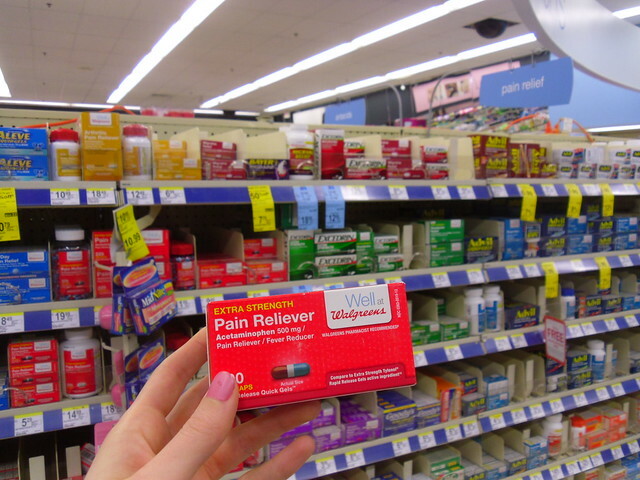 For myself, I often overlook the latter two, forgetting to stock up on supplies for relieving pain until I need them. 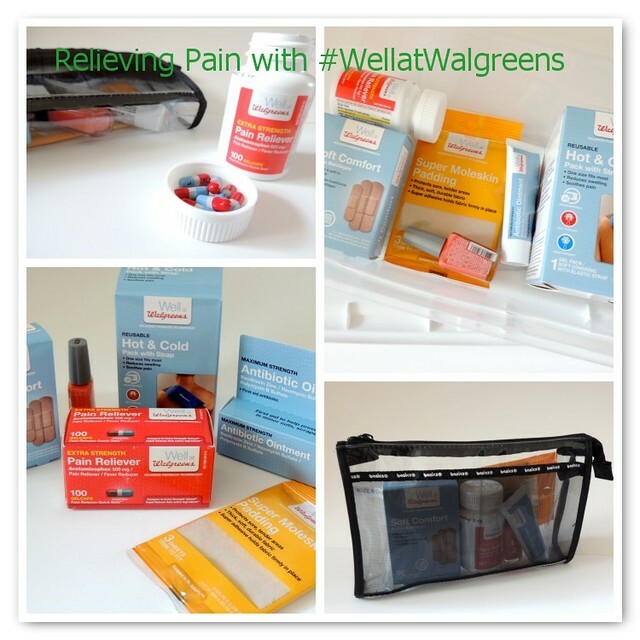 Thankfully, the Well At Walgreens brand is here to help. I hopped on over to the River Road Walgreens to pick up supplies for a running-themed wellness kit. These are items I have found myself using most often through my years of running. Reusable ice pack - in the past, I used a bulky ice pack, but I've since seen the value in a gel pack that conforms to the shape of the body surface. What I like about this one is that it can be used hot as well as cold, an comes with a large strap to secure the pack in place. Pain reliever - my go-to is a pain reliever with caffeine but that's not always optimal if I'm running later in the day. Find one that best suits your needs and keep in mind the side effects. Moleskin - this is great to cover up and provide extra padding for blisters. I used to use medicated blister pads, but it wouldn't stay on very well and would always start to fall off before it did its job. Now, I just drain and cover if it needs it. I organize the items by storing them in a plastic box marked "first aid" that I keep in the closet. This way, I won't have to search for what I need. 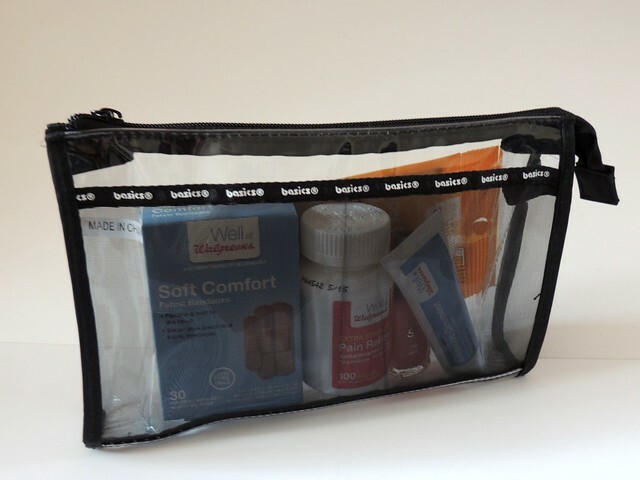 When traveling to races, I often forget to pack these items because I'm an airhead who doesn't make lists. Solution: Buy a small bag and keep it filled with a few of each. When packing, just grab the bag from the closet and toss in suitcase. More efficient, better organized, and less likely to forget things I'll need. I can even toss this in my race bag in case I need something after a local race. 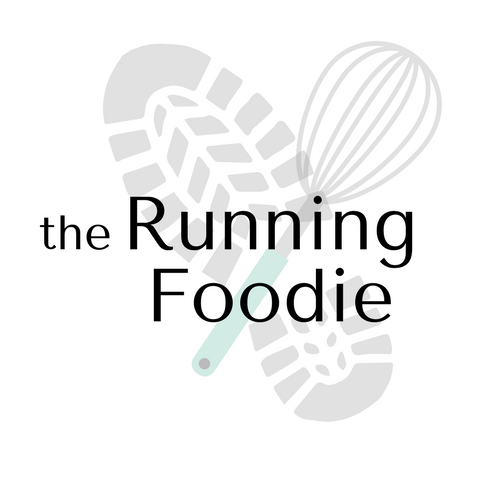 What's in your first aid running kit? 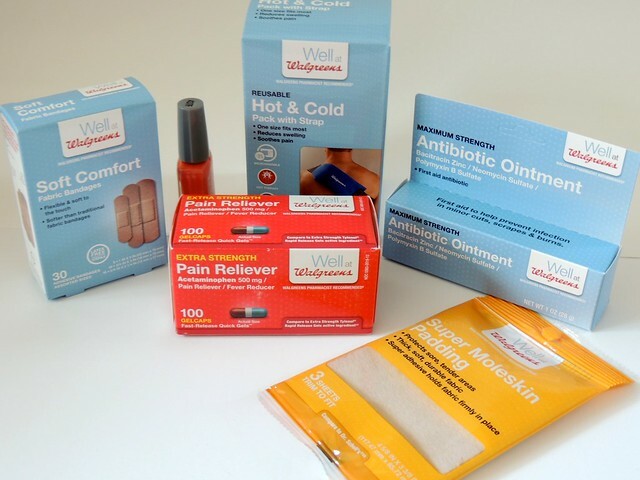 As for the quality of Well at Walgreens products, I've always found them to be as good as name brand counterparts (yes, I've used them before this campaign!). I feel better going out of my way to purchase these products because of the Walgreens Way to Well Commitment. Through December 31, 2014, 1¢ from the purchase of every Walgreens Brand Health & Wellness product (up to $3 million annually), will support bringing preventative wellness services to local communities through the Walgreens Way to Well Commitment®. A long time ago, at my local Walgreens, they had a health day providing cholesterol screening and other such services, which was nice to have access to. Keep that in mind when stocking up on health and wellness supplies!